Mobile Phones especially from China.. Commonly known as “China Mobile” have made HUGE inroads into the hearts & Hands of the Indian Consumer (Read Cheap, affordable & LOUD ). Now there are SO MANY Companies like: FLY, LEMON, JAIPAN, MICROMAX, that make “Branded” mobiles, which in reality have their manufacturing done in China. There are OTHER Chinese Handsets too.. That differ widely & wildly in looks.. but somehow give a poor impression when used. I am not writing this post to criticize China Mobiles. Rather this post is about how to get more out of your “China Mobile”. Psst: Some have Media Transfer Protocol (MTP), Web-Cam connection too.. but these are irrelevant for THIS Post & hence I am not going to dwell on those. 1) Mass Storage: When you Connect your Phone WITH Mass Storage ENABLED, your Phone Acts as a Pen / Flash Drive, with your Memory Card being accessed as a Flash Media for Storing or retrieving Data, Just like you would on a Flash / Pen Drive. This is the Simplest way to Copy-Paste data to & from your Mobile Phone. Data Like: Photos, Pictures, Files. TIP: To use your Mobile Phone as a Flash-Drive is NOT Recommended, BUT, if you simply MUST use it… Then MAKE SURE you create a SEPARATE Folder. something Like: MASS, PEN_DRIVE etc… The name should be different from normal nomenclature like: Received, Inbox, Other, Audio etc. This Will help the phone DIFFERENTIATE your GENERAL Folder & will not confuse itself & go Bonkers! Psst: This Connection will NOT help you Connect your Phone to the PC For “Synching”! 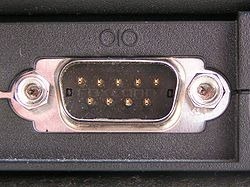 So you would immediately ask My Phone Connects to a USB… Then where does THIS Port come into Picture!. Well… This is a bit tricky.. as the Phone DOES Connect to a USB Port.. BUT there is Software Emulation & COM Port “Virtualization”.. In Simple words.. the COM Port Connection Protocol EMULATES the Behaviour as a COM Port.. While Being Connected to a USB Port. Please do not ask WHY. It’s just the way it does happen so just read ahead. 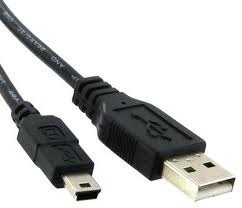 2) Data-Cable / USB Cable: Surprisingly most of the Phones have a simple Mini-USB Data Cable.. Very handy & commonly available. 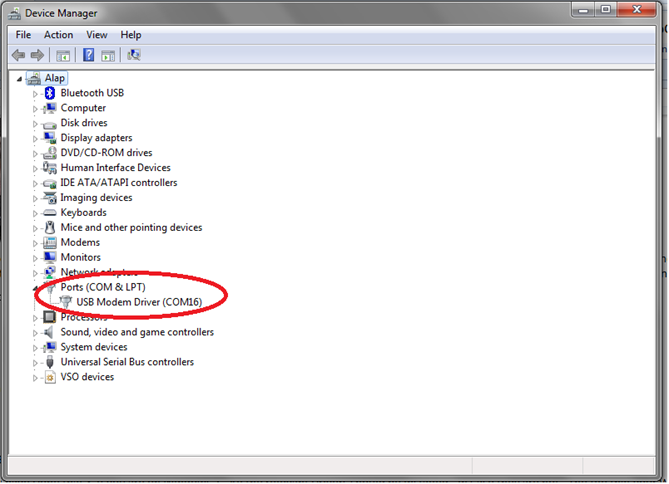 So.. now the Connection jargon is out-of the way… let’s move onto the ACTUAL Connection of Phone WITH the PC. You HAVE to Select “COM Port”. Now UNDER Ports (COM & LPT), you will see something similar.. 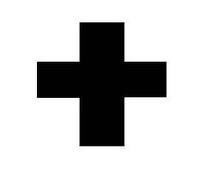 The Point of Importance is the COMXX… In my Case it is COM16.. Your’s might be different. TIP: As a Cautionary measure REMOVE ALL Peripherals other than the Phone (except Keyboard & Mouse ).. This will make investigation a LOT EASIER. AFTER you have noted-down the COM Port… Fire-up the PC-Suite OR as it is Officially called, PC-Sync Manager. NOW… Go one-by-one to the Tabs of Phone-Book, Messages… etc & Save your DATA on your PC.. You DO NOT get a Chance to CHOOSE WHERE to Store BUT.. At least you have your DATA Stored Safe on your PC.. In case of Phone Damage OR Loss.. you can “Retrieve” your Data easily. 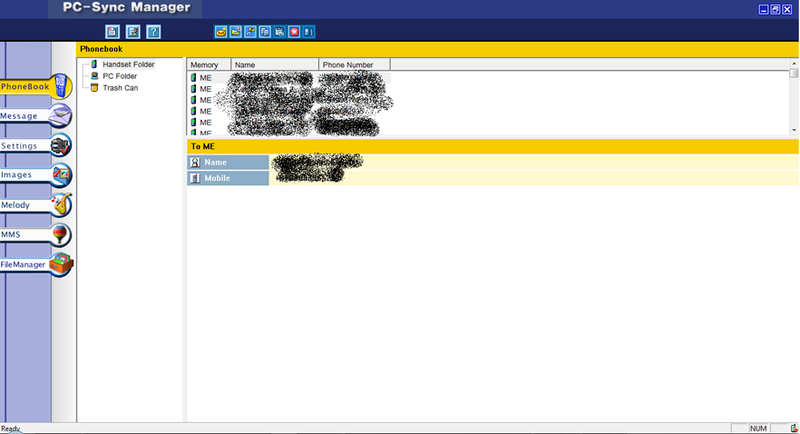 * Phonebook is used to manage the contacts information between mobile phone and PC folder. In addition to adding, editing and deleting contacts, users can get the phonebook database on hand and backup them to PC folder. Phone-Suite also imports contact list from Lotus Notes, Outlook, and Outlook Express. Users can copy these information to the PC folder or mobile phone. * Message helps users to read, edit and send SMS/EMS messages directly from PC. Besides, you can create personal folders to categorize all messages on PC side. * Settings contains the system-related settings and message default settings. 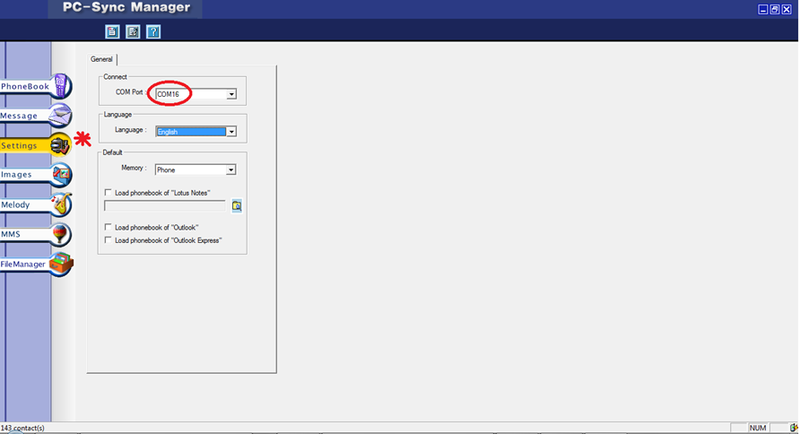 Users also can set whether they want to import contact list from other software or not here. * Images is used to draw images of various file types, and transport the images between PC and mobile phone. It also provides clip, mirror and rotate functions to reach user’s expectation. * Melody provides a easier way to compose your own melody through the staff graphic interface. It is not only a editor but also provide the functions to transport the melodies between PC and mobile phone. * MMS Message helps users to read, edit MMS messages directly from PC. 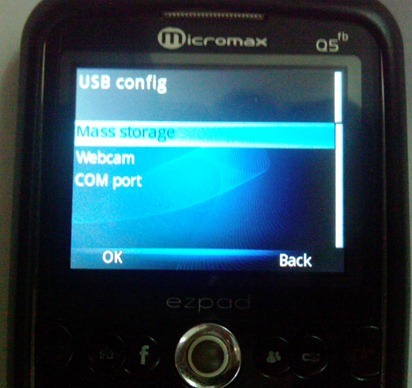 Users also can transport MMS messages between PC and mobile phone. Whether this functionality is supported or not depends on the mobile phone connects to Phone-Suite. * File Manager provides a friendly interface for users to manage their files between PC side and mobile phone. Functions like “copy”, “paste”, “delete”, “rename” and “new folder” are provided in the tool. Besides, File Manager supports local java installation from PC side! THIS Phone Suite is NOT Very Productive BUT… you get to Save your Data for a Rainy Day (well.. not exactly.. but you get the picture.. phone gets wet… etc. etc. ).. Remember.. DO NOT Mess with these “China Mobiles”.. Once screwed.. you have to throw them out.. Repairing.. might be a costlier option than the cost of the Phone!